Admittedly, this is a topic that I haven’t talked much about on my blog. It’s also probably the one topic that most people would expect to see on a teen blog. For years, I’ve been trying to figure out how to address this topic here, and have never really come to a resolution. You see, the reason I’ve never posted about relationships on here is because I’ve never been in one myself. And I have always felt sort of inadequate to give advice on such a complicated topic. Throughout high school, I was always heavily immersed in what some have dubbed “the Christian subculture“. Almost none of my friends dated. Almost none of my friends were even allowed to date. So, when I started this blog, I focused on things that I either knew something about or current social issues that could be easily resolved through research. Needless to say, dating didn’t exactly make the cut. Considering I barely had a fully formed view of dating relationships in high school, I decided to hold off on this topic until later—when I had more insight into the topic. Admittedly, I’m not much further along than I was a couple of years ago, but I do feel more equipped to speak about dating at this point. In fact, my lack of knowledge serves as sort of a lesson in itself for this post. 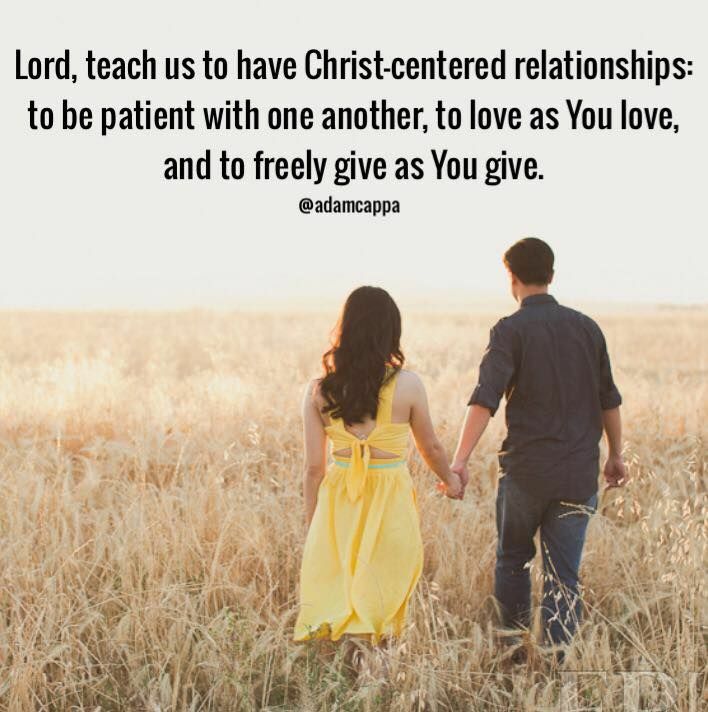 Christians need to talk about relationships. In the midst of relationship messiness, we as young people need instruction. And most of us, if we’re really honest, are seriously lacking in dating-expertise. Speaking on behalf of Christian teens (of which I still sort of qualify, at nineteen years old), most of us half been hit with dating theories left and right. Many, which my friend Emily so apty pointed out, that are born more out of fear than wisdom. We’re bombarded with a billion prerequisites that go beyond the realm of Biblical truth. We’re expected to know if we can marry them before our first date. We put up so many boundaries that we throw trust, intuition, and normal interaction out the window. We’re encouraged not to “get too attached” or “give our heart away” while on the hunt our soul mate. We’re encouraged to start dating at eighteen, and get married three or four years later, because it would be simply dreadful to end up as an ‘old maid‘ at twenty four. It’s enough to make you want forget dating altogether and live vicariously through chick flicks and Nicholas Sparks novels. Nonetheless, lately, despite my own lack of experience with dating, I have started thinking more actively about dating relationships and what makes for a good relationship—as I’ve discussed the topic with friends and talked about it with my mom. Thus, I would like to keep it simple, and list some of the basic principals that I believe equal a healthy relationship. For many of us, it has been all too easy to grow up with presuppositions about the opposite gender—especially for us gals. I’ve spoken about it previously in relation to male-female friendships, but the struggle is all too real with dating relationships. Between TV, movies, and offhand comments from well meaning people, girls aren’t taught to hold out for a man with self-control. We’re taught that all men are all basically walking hormones—and within this toxic teaching, we fail to teach girls to wait for someone they can trust. As a culture, we’ve failed to differentiate between normal, self-controlled, imperfect guys with struggles and sexual predators. Even Christians have often been guilty of making excuses for inappropriate behavior—thus choosing to stereotype our brothers in Christ rather than assume the best about the majority of men. Because of this, too many girls have come to expect the worst of guys, and stayed with toxic, abusive boyfriends—brushing it off as “typical male behavior”. Girls aren’t taught about warning signs to watch out for, and abusive men are often been brushed off as “normal”—creating a recipe for disaster. As God’s children, fearfully and wonderfully made in His image, we deserve to be with someone who respects us and respects the God that we serve. We deserve a man who will treat us right and honor us. We deserve to know that there are still good guys left in the world, and that we ought not to settle for less than our best. Sometimes, a date (or a courtship) can be just that. A date. Not an engagement; not a marriage proposal. It doesn’t make us shallow or a ‘serial dater’. It just makes us human. It just means that early in the relationship, we might not know if they’re the one. And that’s OK. Expecting a person to know 100% who they’re going to marry when they’re still getting to know the other person and themselves is asking a lot. True, we should be someone we could potentially see ourselves marrying down the line. And true, they should have our core values and beliefs. But we don’t have to sign a contract on our first date. Sometimes, it’s OK to not know—that’s what the dating process is for. So we can get to know them. We don’t have to book a chapel on our first date, just as long as we treat the other person right, and don’t lead them on. Oftentimes, our intuition can be a helpful aid in making big decisions, such as ‘who to date’. While we shouldn’t solely listen to our intuition, we shouldn’t ignore it altogether either. This pertains both to the specific person and to our standards. Do guys who are quick to anger make you nervous? Then stay away. Do you want a guy with certain core values, like honesty and integrity. Listen to that. Oftentimes, problems arise when we refuse to listen to our gut and the Holy Spirit’s counsel and try to rationalize behavior that we know is wrong. Don’t ignore that still small voice in the midst of strong feelings. In addition to listening to our own intuition, it’s important to hear out what others have to say. Friends and family can provide insight on things that we haven’t even considered. Furthermore, it can be easy for judgement to get cloudy in the midst of a feelings for another person. If we listen to our voice and the voice of others—including God, through prayer and Bible study, we’ll save ourselves from a lot of mistakes and heartache. Too often, society and the church elevate marriage and dating relationships so much that they isolate people who are single—either out of calling, or for a period of time. Single people are often viewed with suspicion, or as somehow ‘less-than’ compared with their married counterparts. Nonetheless, both statuses are fully respected in God’s eyes. Whether we eventually marry or not, we’re all likely to be single for at least some period of time. It’s important that we all learn to be comfortable with ourselves before we jump into a relationship with someone else. Ultimately, God is the only one who can give us true joy, and when we replace God with anything else—even a good thing, we will always be disappointed. How about you? Do you have any relationship advice that you’d like to share? If so, feel free to share your thoughts in the comments section! It’s always great to hear your thoughts!